Sip your way to beautiful skin with these easy and delicious smoothies. Sure, maybe you've cleaned up your beauty routine. But have you cleaned up your diet? You'd be surprised what a big impact it can have on your skin. And even if you're not quite ready for a complete overhaul, smoothies are a nice place to start. After all, they're easy to whip together in the mornings and if you use the right ingredients, they can be pretty healthy too — they're packed with all the antioxidants, vitamins and other nutrients you need to turn the wattage up on your glow, from the inside out. So, ready to add some complexion-boosting smoothies to your repertoire? 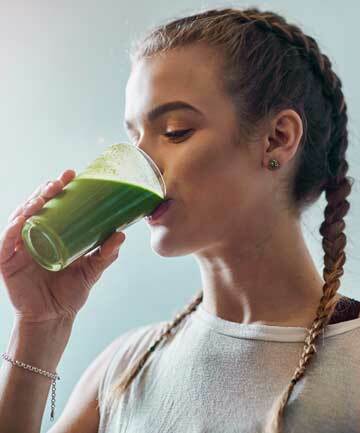 Keep reading for some delicious (and easy) smoothie recipes — these healthy smoothies will help take your skin care game to the next level.